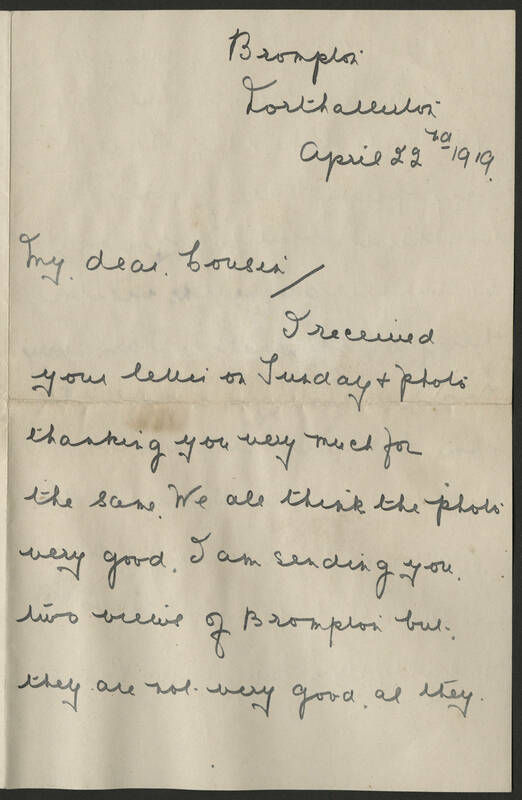 Brompton North Alleston April 22nd 1919 My dear Cousin/ I received your letter on Sunday and photo thanking you very much for the same. We all think the photo very good. I am sending you two views of Brompton but they are not very are they?